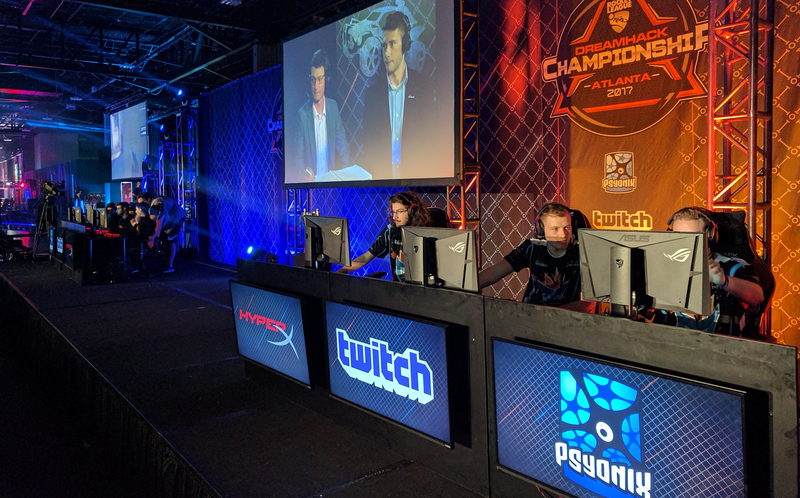 With Evo now in the rear-view mirror, the focus this weekend shifts to the Poland for a major Counter-Strike tournament and Atlanta for the latest DreamHack LAN. Below you’ll find where and when you can catch all the weekend’s biggest events in competitive gaming. Let us know what you’ll be watching in the comments or if you think there’s something we might have missed. You can find a complete list of tournaments being held this weekend at DreamHack and their schedules here. The PGL Major Kraków 2017 semifinals got underway earlier today with Gambit Esports vs. Astralis, while Immortals vs. Virtus Pro is scheduled for 2:00PM EDT. The grand finals, meanwhile, are slated for Sunday at 11:00AM EDT, after which the winner will take home half a million from the Valve-sponsored tournament. After SK Gaming and Cloud9, the two dominant teams at ESL One Cologne, were knocked out during the quarter finals, Kraków is on its way to becoming an all-euro affair unless South America’s Immortals can rise to the occasion. Matches will be streaming live here. On this side of the Atlantic, however, CS:GO will have DreamHack Atlanta semifinals kicking off Sunday at 10:00AM EDT. The grand finals will take place later in the day at 5:00PM EDT with all of the matches streaming here. It’s one to week seven of the summer split with matches beginning in Europe between Vitality and G2 at 11:00AM EDT. Then stateside Team Solo Mid look to put some distance between themselves and the rest of the table leaders with a win against close rival Dignitas at 3:00PM EDT. The weekend the second World Cup continues with matches in Group C and D resuming starting at 9:30PM EDT tonight. You can stream those matches live (or more likely catch the archived video of them Sunday morning) here. A not so shocking finish in Melee at Evo 2017 was followed by a show stopper in Smash 4 that saw Salem edge out ZeRo for the title. This weekend, the Diddy Kong god will be looking to right the ship with a win at DreamHack Atlanta. You can find times for pools and top 8 here. Matches will be streaming live here. In the world of Dota 2, all is not entirely quiet leading up to TI7, with Dream League Season 7 playoffs filling the gap this weekend. The $175,000 event will see Planet Odd face Secret in the lower bracket after which the winner will meet Team Liquid in the grand finals. The best-of-five series will start at 4:00PM EDT today and be streaming here. Capcom’s fighter will also be at DreamHack. 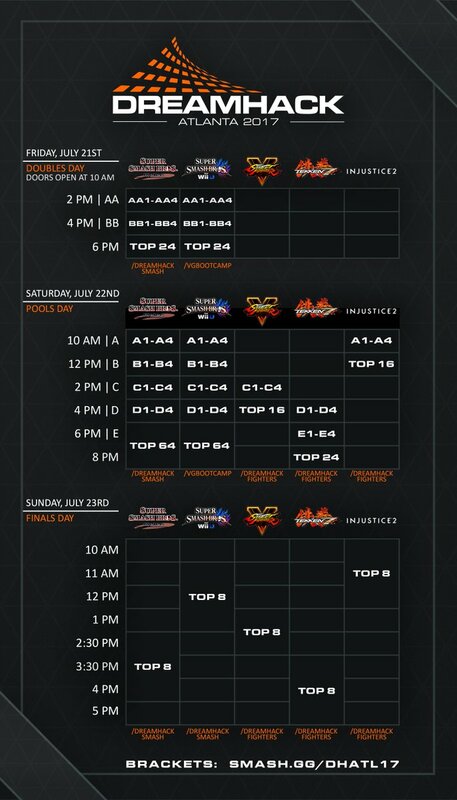 Pools will be going on all day today with top 8 scheduled for 10:00AM EDT Sunday morning. Matches will be streamed here. Welcome to week five of the second phase, the last before the summer’s Western and Eastern clash events. Things start in Europe at 12:00PM EDT with Team Good Guys vs. Zealots, while in North America Naventic and Even in Death face-off at 5:00PM EDT. You can find a complete schedule for both regions as well as current standings here. The matches themselves will be streaming live here. The Hearthstone Grand Prix event at DreamHack is already underway as players hunt for a piece of the $25,000 prize pool and HCT points for placement at the Championship this fall. Matches are already going on today, with play resuming on Sunday at 10:00AM EDT. The Call of Duty Pro League will wrap up its group stage matches this weekend, with teams than being sorted into the bracket for bracket stage of the $700,000 tournament taking place at the end of the month. The action kicks-off today at 2:00PM EDT with EnVyUs vs. Cloud9. You can watch the remaining matches here. The EU Cup for WoW Arena fighters is going on this weekend as well, with the action kicking off both today and Sunday at 10:00AM EDT. You can find the complete bracket for the event here, while matches will be streaming live here.